The experience of emotional and psychological depression has been noted and subjected to various explanations since the dawn of recorded history and quite probably before. The current model, which reduces all depression to a deficiency in serotonin, seems as overly simplistic and inadequate as those before it. This is to say, at least in part, that depression is a complex and age-old illness with a storied history of treatment. 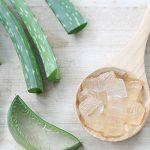 There are a number of herbs that have been used successfully to help relieve symptoms of depression, and thoughtful consideration of various root causes of psychological malaise can serve to steer one toward improvement. Recent studies have reinforced the potential efficacy of a number of traditional herbal aids for depression. 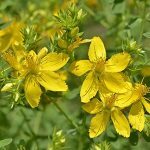 One of the most widely known herbs purported to help with depression; St. John's Wort (Hypericum perforatum) has been the subject of much debate in recent years. 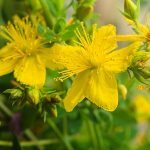 While the data on St. John's Wort is confusing, to say the least, it is worth noting its long and extensive use throughout the world, along with several independent investigations reinforcing its efficacy. A 2009 meta-analysis by the Cochrane Collaboration concluded that “Overall, the St. John's wort extracts tested in the trials were superior to placebo, similarly effective as standard antidepressants, and had fewer side effects than standard antidepressants ." Another thoughtful and extensive meta-analysis published by four physicians in the British Journal of Psychiatry considered 37 prior studies and found that “Hypericum perforatum extracts improved symptoms more than placebo and similarly to standard antidepressants in adults with mild to moderate depression .” Furthermore, hypericum extracts caused fewer adverse effects than questionable antidepressants. Lesser known, but also an interesting aid in depression is the adaptogen Rhodiola (Rhodiola rosea). In a very well designed and executed study of Rhodiola rosea, 89 individuals, male and female, ranging from 18-70 years of age and selected according to DSM-IV criteria for depression, were divided into three groups. One group received 340 mg of rhodiola per day, in two tablets, a second received 680 mg/day in two tablets and a third received two placebo tablets. Both groups receiving the rhodiola experienced significant improvements in overall depression, insomnia, emotional instability and somatization as scored in the Beck Depression Inventory and Hamilton Rating Scale for Depression (HAMD) questionnaire. The placebo group showed no such improvement. No serious side effects were reported among any of the three groups . This herb has been used extensively to relieve depression that occurs during menopause or in other times of hormonal fluctuation. Recent debate about possible liver damage resulting from long-term and excessive use is worthy of note, but certainly not a reason to disregard the potential benefits of this herb. Like all herbal remedies, responsible use requires responsible consideration of the whole cost-benefit picture. Two lovely herbs to investigate: Lavender and Lemon Balm (Melissa officinalis). A fascinating study from the Neuroscience Unit of University of Northumbria in Newcastle found that a 600 mg serving of melissa officinalis alleviated the physiological effects of laboratory induced stress in healthy individuals, suggesting that the herb may have great potential in mitigating deleterious effects of stress outside the laboratory . And of course, when all else fails, don't forget about body cleansing. A clean intestinal tract and liver can do wonders for depression. Linde K, Berner MM, Kriston L. St. John's wort for treating depression. Cochrane Summaries. 2009 October 7. Klaus Linde MD, Michael Berner MD, Matthias Egger MD, Cynthia Mulrow MD MSc. 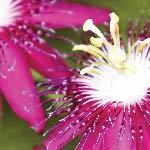 St John's wort for depression meta-analysis of randomised controlled trials. The British Journal of Psychiatry (2005) 186: 99-107 doi: 10.1192/bjp.186.2.99. NYU Langone Medical Center. Rhodiola rosea. 2012 July. Kennedy DO, Scholey AB, Tildesley NT, Perry EK, Wesnes KA. Modulation of mood and cognitive performance following acute administration of Melissa officinalis (lemon balm). Pharmacol Biochem Behav. 2002 Jul;72(4):953-64. Lee IS, Lee GJ. 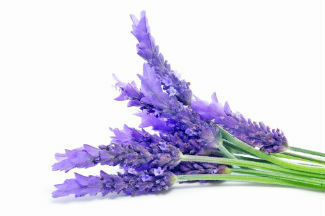 [Effects of lavender aromatherapy on insomnia and depression in women college students]. Taehan Kanho Hakhoe Chi. 2006 Feb;36(1):136-43. Korean.